We don’t usually recommend duct cleaning because your ducts should definitely NOT be getting dirty. When you stop and think about it, does it not seem strange that your ducts are getting dirty? Your ducts are the breathing passages of your home. They should be installed in a way that they are clean and stay clean. 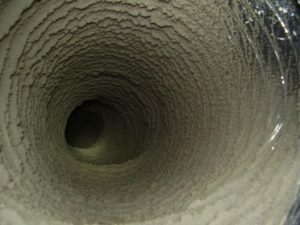 Dirt in your ducts is a sign of some failure in your heating and cooling system. Our approach to duct cleaning is to diagnose what is causing contaminants to enter your duct system. Our technicians are highly skilled at pressure testing duct systems to pinpoint the source of leaks that is causing dirt to contaminate your duct system.